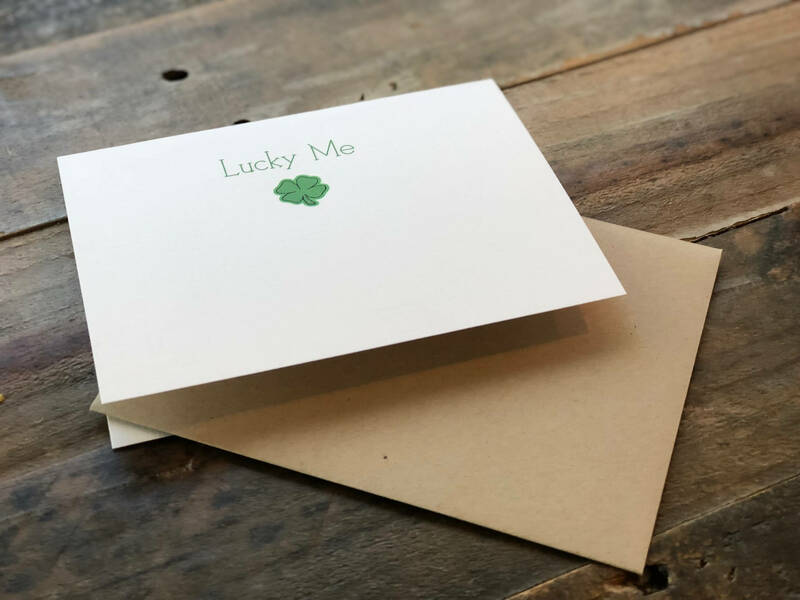 Friendship - thank you - love - St. Patrick's Day Card - "Lucky Me"
"Lucky Me" let that special friend know how lucky you feel to have him or her in your life. 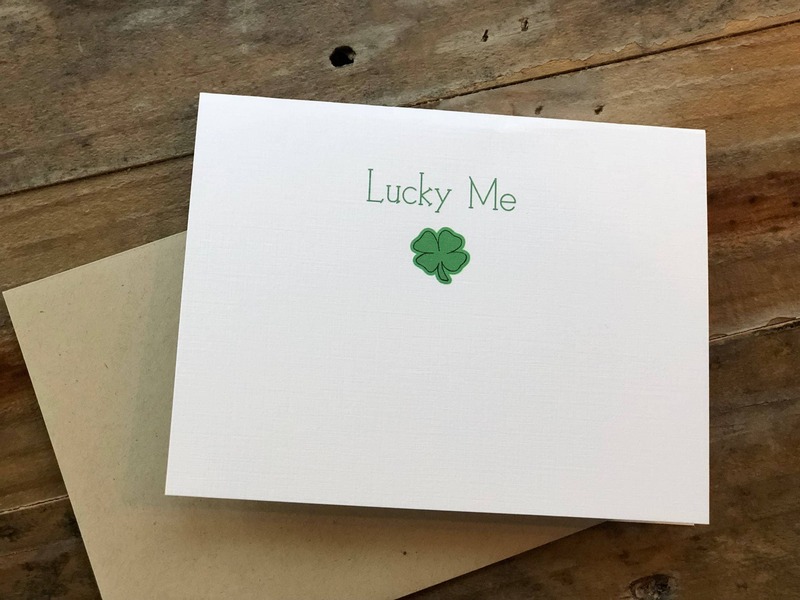 Perfect for St. Patrick's Day or for no reason at all, just to make someone happy. Card is blank inside for you to write your own personal message. printed on 80# Linen Textured cover stock. Other sizes available, send me a message. Kraft envelope included, if you prefer white, please message me.